Best Buffalo Movers delivers moving solutions to residents and businesses throughout Western New York. We’re just like you – Buffalonians who value a dollar and appreciate reliable and trustworthy services. That’s what you’ll find in Best Buffalo Movers, the best local moving company in Buffalo, NY. We only employ certified and license movers who are professional, friendly, and trained to get the job done. Most of all, they are dedicated to your needs and helping make your move go as smoothly as possible. Best Buffalo Movers delivers on all types of moves – from the simple to complex, and local and long distance. We offer full-service moving, packing, loading, delivery, and storage options at a reasonable cost. Call us today at 716-442-3195 for your free moving estimate in Buffalo, NY! 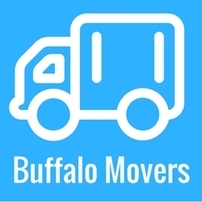 ​Best Buffalo Movers moves homes, apartments, small offices, and large business in Buffalo, Tonawanda, Amherst, Cheektowaga, Hamburg, West Seneca, Lackawanna, Grand Island, Orchard Park, Lockport and throughout Western New York. Give us a call today at 716-442-3195 to ask about our local and long-distance moving options and for your free moving quote. Best Buffalo Movers is a marketing and referral service for AARick Movers. We are also a proud partner of Orange County Best Movers.